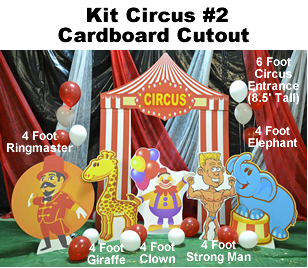 Circus Kit #2 Cardboard Cutout Standup Prop - Dino Rentos Studios, INC. 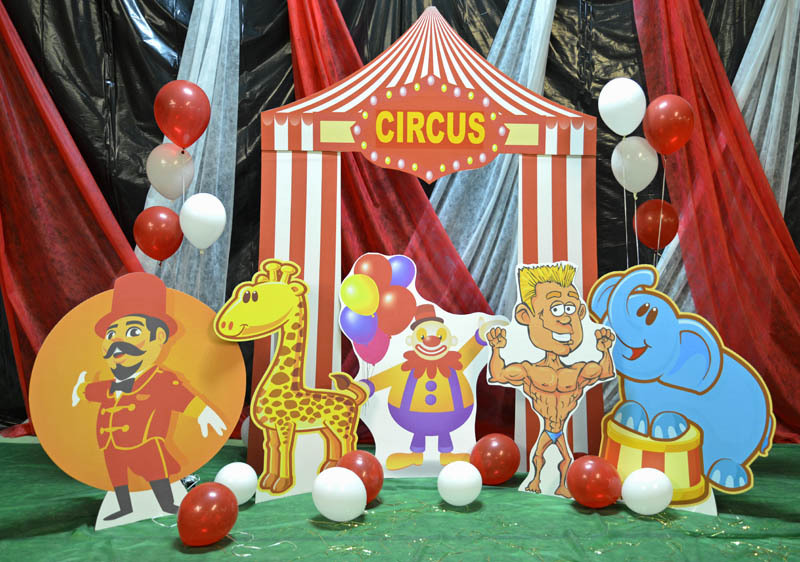 The perfect Circus Cardboard Cutout Prop kit to start your decorating around. 1- 8.5 Ft Tall tent entrance (allows teens and kids to walk through). Printed on front only. All Pieces are self standing. Upgrade ! to plastic cardboard AND laminate (gloss or matte) for an all-weather prop that can be used indoors and outdoors!